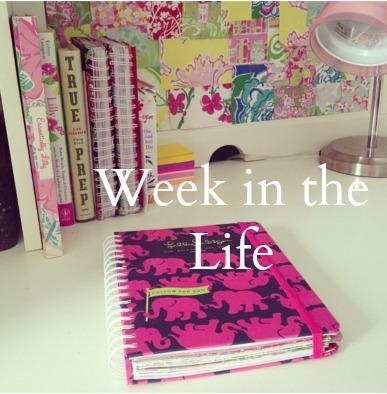 Phew, this had been a long week! 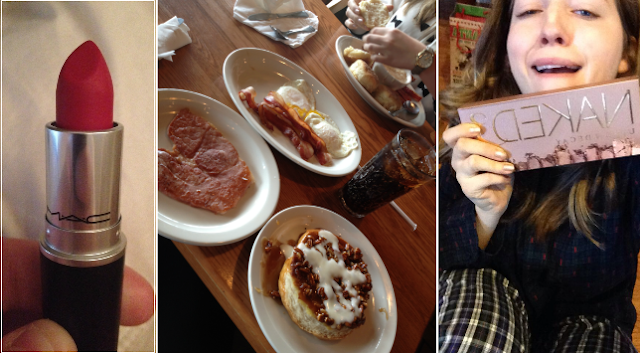 I tried to keep my collages separated by day and then days started getting fuzzy. I had so much fun getting to spend time with my grandparents, cousins, aunts, uncles, step family, parents, etc…I am worn out in the best possible way. 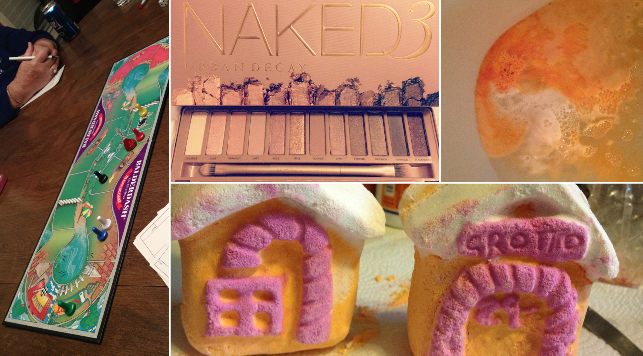 Here are a few way too many snaps from the week. 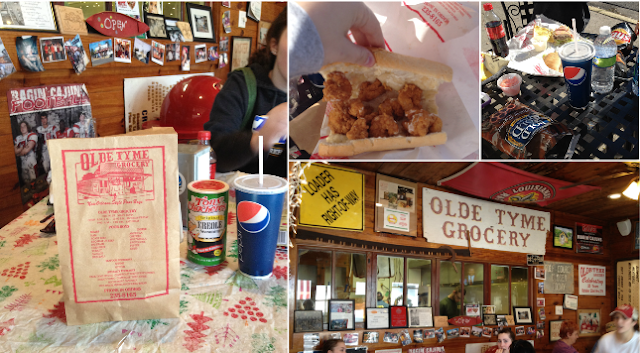 On Monday, my family and I went to this small little poboy shop on the campus of the university of my town. I love the little small town feel and all the newspaper clippings and old pictures up on the walls. Tres cool! 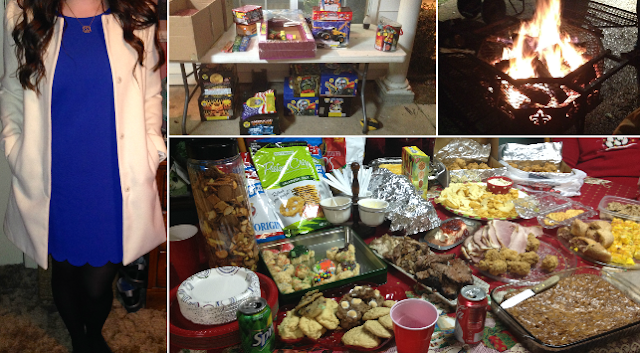 My outfit on Christmas Eve / Just one of our tables full of fireworks / the fire pit where I stayed all night / this is how we do holidays in the south - food, food, and more food. 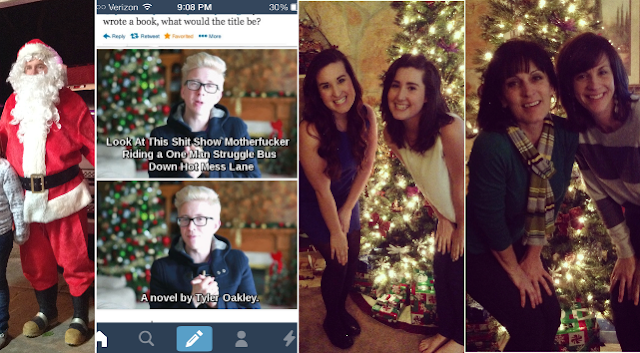 Santa coming to visit the kids on Christmas Eve / My favorite Tyler Oakley quote to date (I downloaded the tumblr app and have not logged out since) / My mom and aunt making fun of my sister and I for our "sorority pose"
How was your Christmas? Are you looking forward to New Year's Eve? 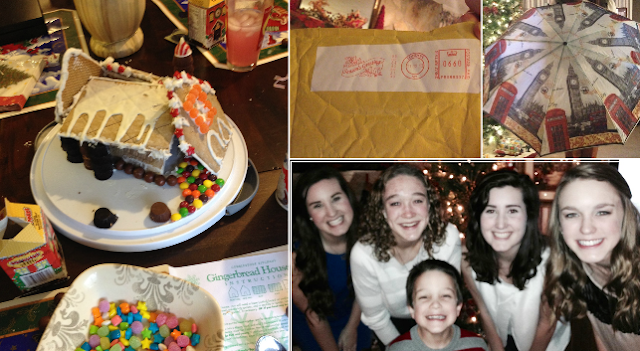 Would y'all be interested in seeing a "What I got for Christmas" post?